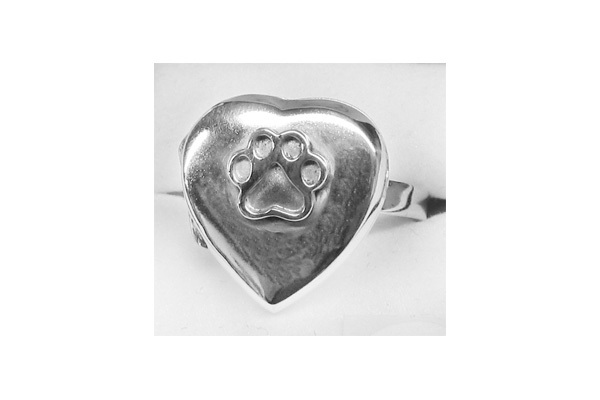 A sterling silver heart locket w/Puppy Paw® that can hold photos, cremains or a lock of hair of your beloved pet! Available in sizes 6-9. By email send your image at a high resolution 300dpi to info@puppypaws.com with your name and invoice number.